Scarf review : Tudung Libry | escaped. 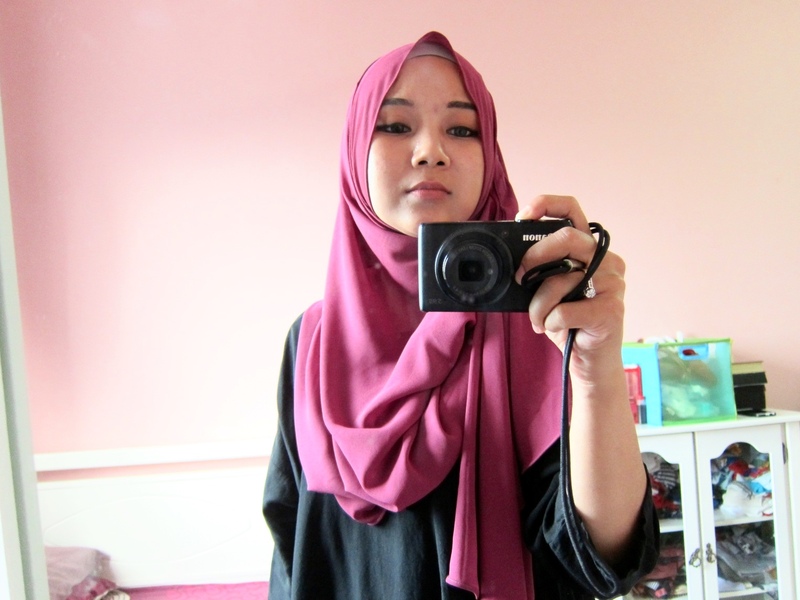 If you know me, you'd know I'm not tudung instant kinda person. To me, they'd look out-of-place on me, no matter how hassle-free they claim to be. Simply because I don't know how to style them! Hence, the many many collections of long scarves. And pashminas. They're my comfort zone. But recently, I was given a chance to try on a particular instant scarf - and I'm converted. Since I'm a rookie at this, I asked my sister to show me how it works. A lot of people (like me lol) has this perception that it'd be a hassle to figure out how to wear instant scarves the first time (such an irony because it's instant, it's supposed to be easy to style) hence they're reluctant to make their purchase. But surprisingly, I mastered it - the second try! Verdict : I'm loving the material! It is similar to chiffon and georgette - my two favorite fabrics. Drapes get to be produced effortlessly (when you decide where to pin right; as for me, I prefer to pin on both my shoulders and rearrange the drapes there) and HASSLE-FREE. But the one thing I like, is this gold metallic statement on the scarf. 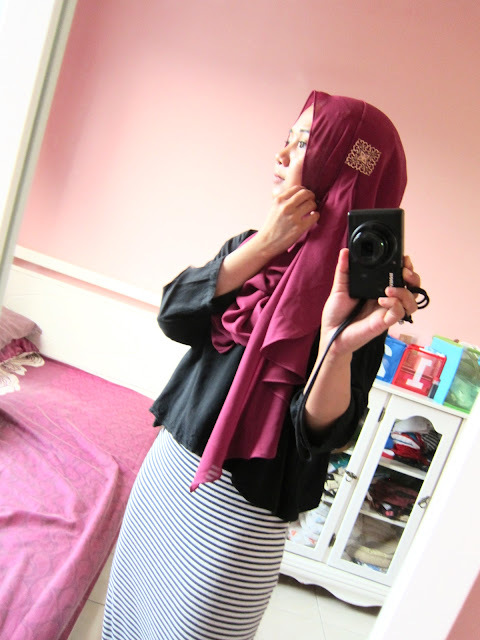 It comes with the tudung, but they also produced the ones without the statement at a lower price. 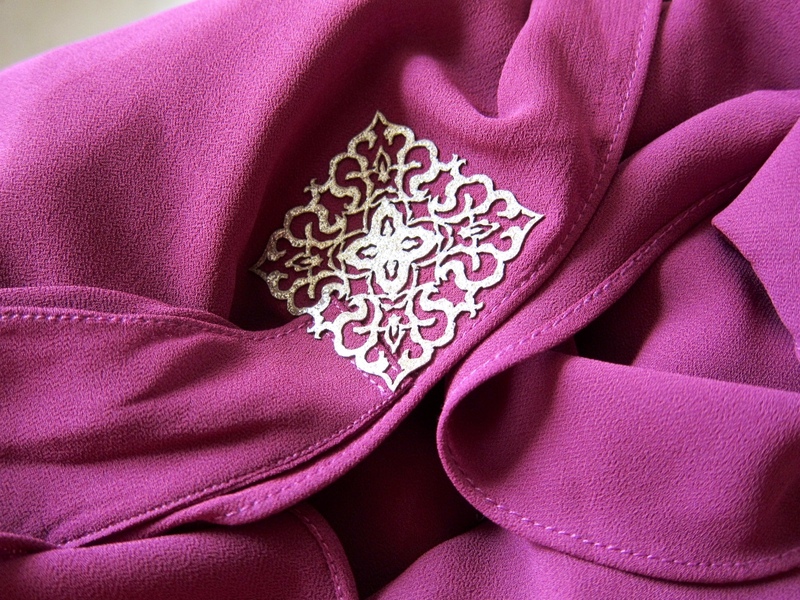 Turns the scarf-styling 360 degrees, without having to use extravagant brooches. "Wah Zatil nampak extra ayu harini"
"Wow you look different! 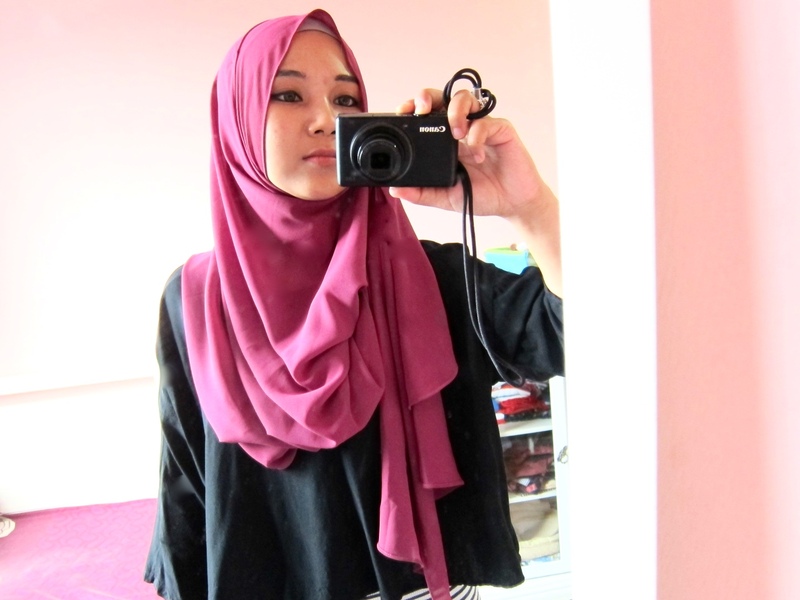 You should wear this color more often"
"How do you wear your tudung like that?" Guess I should do this look more often. Haha. + half-moon shape - so it'll look good however you style it! Visit their instagram, @tudunglibry to find out how to get your hands on them. The first 200 pieces were all sold out, so make your move fast!